I'm trying to learn how to read for pleasure alongside studying. It's tricky because I'm not used to only being able to pick a book up for half an hour or so each night. Usually I love to read during my lunch hour and just generally whenever I have a few spare minutes, but when I'm writing an essay about a particular text I can't read anything else because I get in a huge muddle! A book takes a long time to get through this way and for me I can only do it if it's the right kind of book - one that's easy to dip in and out of. 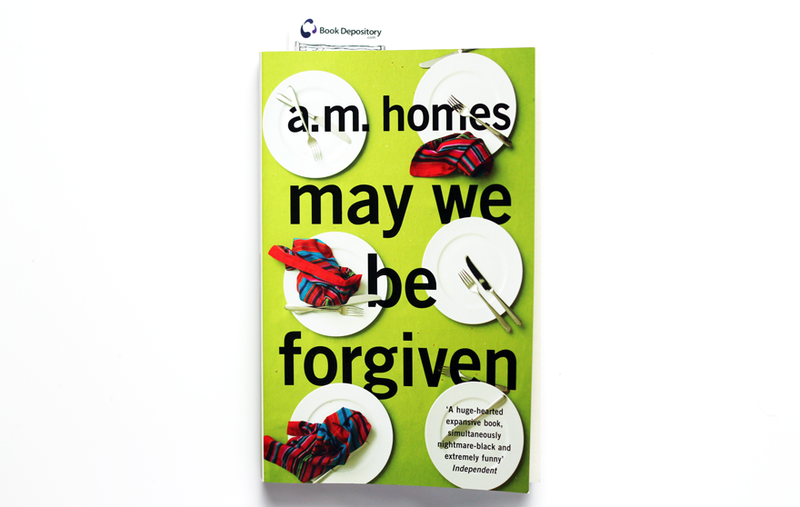 May We Be Forgiven is the perfect book for picking up and putting down constantly. The main character, Harry, is on a bit of a journey after suddenly finding himself in charge of his brother's two children and trying to navigate through all the absurd things that are being thrown his way, and it almost adds to the experience reading a novel that takes place over a period of time, slowly. Or perhaps I'm really just not that into it? At this point of essay induced confusion it really could be either! I had the same problem at uni - it's so hard to compartmentalise books when you're reading that many. I found reading things that were very different to what I was studying was helpful. Absurd is such a good word to use in relation to this novel! I really enjoyed it, but I did find myself getting a bit frustrated by the mounting absurdity. I use to struggle with balancing reading for pleasure and the texts I had to read, it's so nice to be out of that now and be able to read exactly what I want. Hope you manage to find a good way!